Jim Elser (center), along with organizer and Sustainable Phosphorus Alliance program manager Matt Scholz (far left), served as hosts for the annual Phosphorus Forum, held recently at ASU. They tackled the worldwide issue of how to feed a future planet of 10 billion while ensuring adequate clean water for the planet. Matt Scholz (left) and Jim Elser attempted to map the supply chain network of corn chips, from growers to grocers. Jim Elser talks with Ned Beecher, executive director of the Northeast Biosolids and Residuals Association, who showed the big picture on biosolid use and federal and state regulations aimed at better managing phosphorus, both for farms, and increasingly in past 10 years, efforts to change homeowners’ behavior with turf and lawn fertilizers. When it comes to the essential element phosphorus, our relationship is both on a personal and global scale. “We each carry about three pounds of phosphorus in our bodies and in our bones, and yet, we are fully dependent upon it to feed a future world of 10 billion people by 2050,” said professor Jim Elser. Elser, a long-time ASU professor now at Montana State, initiated the Sustainable Phosphorus Alliance a decade ago. The Sustainable Phosphorus Alliance is a unique partnership made up of academics, industry and NGOs, committed to finding a way to have a food system that manages phosphorus, while protecting rivers, lakes and oceans. Elser, along with organizer and Sustainable Phosphorus Alliance program manager Matt Scholz, served as hosts for the annual forum, held recently at ASU. The Alliance is located at the Biodesign Institute at Arizona State University in the Biodesign Swette Center for Environmental Biotechnology, with the support of center director Bruce Rittmann. More than 50 Alliance participants, representing diverse fields in agriculture, supply chain economics, green chemistry, regulatory policy and industry met at ASU’s McCord Hall to tackle key phosphorus management challenges. The goals of the forum were to facilitate networking, working groups, and represent the North American sustainability community. Elser began the framing the forum’s presentations day inspired by the recent book: “The Wizard and the Prophet: Two Remarkable Scientists and Their Dueling Visions to Shape Tomorrow's World” by acclaimed author Charles Mann (who also wrote “1491” and “1493”). In the other camp are the “prophets” represented by Norman Borlaug. Borlaug, Mann says, “has become the emblem of “techno-optimism”—the view that science and technology, properly applied, will let us produce a way out of our predicament. He was the best-known figure in the research that in the 1960s created the Green Revolution, the combination of high-yielding crop varieties and agronomic techniques that increased grain harvests around the world, helping to avert tens of millions of deaths from hunger. Their competing mantras could simply be reduced to “Cut back!” vs “Innovate!” according to Mann. This will become our children’s central problem in feeding a world of 10 billion. And it’s the same competing mantras for the element phosphorus, which is essential for all of life----including humans and the plants we and animals depend upon for the food we eat. We need it to grow the plants to feed animals to feed humans, but the world is rapidly using up resources, particularly in high-demand countries such asthe U.S. and China. And unless there are improvements and we cut back, their native phosphorus supplies could run out by 2050, according to David Vaccari, professor and director of the Department of Civil, Environmental and Ocean Engineering at the Stevens Institute of Technology. “China and the U.S. are on the same time scale [just 24-36 years from now] with running out of production,” said Vaccari. If the estimates are correct, this will make the world more dependent on the greatest source of phosphorus, mines in Morocco. “Globally, we still have hundreds of years,” said Vaccari. But the worry is that there may be more political unrest once countries use up their own supplies. An important aspect to overcoming these challenges is for the Phosphorus Alliance to adopt the “Wizard” approach of fostering innovation, an appropriate theme for ASU, which has been recognized as being the No. 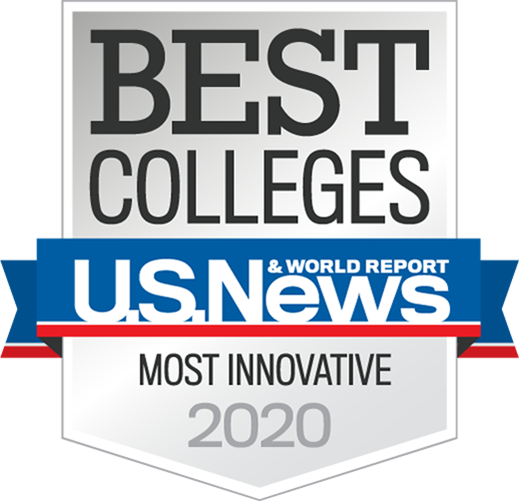 1 university for innovation two years in a row by U.S. News & World Report. And so far, the wizards have kept the phosphorus dilemma at bay. During the past generation, agricultural innovation has pulled off a phosphorus magic trick---increasing crop yield several fold (corn yield has gone up an average of 2 bushels an acre annually since 1965)---while using the same amount of phosphorus for growth, from the work of “Wizards” who have developed new hybrids, expanded irrigation, increased fertilizer rates, and introduced modern transgenic, insect resistant crops. Phosphorus relationship is through the soil, and soil health has increasingly become a main factor. Franklin Delano Roosevelt, when commenting on the dust bowl days and Great Depression, once said, “The nation that destroys its soil destroys itself,” according to Rockey. That’s why, after a 30-year federal research career leading programs at the USDA and NIH, she now leads the publicly funded-nonprofit FFAR, with a $200 million annual budget to foster agricultural innovation. Their group is funding innovation in everything from basic research to improve the efficiency of photosynthesis to overcoming water scarcity to improving urban food systems and sharing these results with the Phosphorus Alliance community. Perhaps one “Wizard” solution that’s good for the soil and plants could be using an entirely different fertilizer. The fertilizer we buy at the store contains phosphorus in the form of PO4, or phosphate. The problem is that scientists estimate that up to 80 percent of the phosphorus may never be taken up by plants, leading to millions of tons of wasted fertilizer. “The main problem we have in agriculture is that 70-80 percent of what we apply to the soil, gets fixed into the soil, and the crops only use 20-30 percent,” said Herrera, director of the Mexico’s National Laboratory of Genomics for Biodiversity at Cinvestav. And where do the excess of 35 million tons of fertilizer annual applied to crops go instead? It can lead to runoff, soil erosion, and contaminate our rivers and lakes. Once there, algae can thrive on the overabundance of phosphorus, producing problematic algal blooms and oceanic red tides. With improvements, Herrera thinks they can reduce the use to only one-third compared to current fertilizers---and with the added benefit of providing weed control---since weeds can’t grow when phosphite is added to the soil. Increasingly, the phosphorus use is being tied not to crop yields alone, but on having more “Prophets” and sustainable outcomes. Allison Thomson, who works as the Science and Research Director of the independent, 130-member nonprofit Field to Market, benchmarked sustainability performance for leading commodity crops in the U.S, including corn, cotton, potato, rice, soybean and wheat. One of the aspects from his survey work is how little connection people have with the food they eat. Not only is it hard for people to figure out where on their dinner plate the food may originally come from, but even retailers, suppliers and experts can also find it hard to determine. “How do we create maps that take that field level data and aggregate it into product category data?” asked Dooley. During a forum workshop exercise, he challenged attendees with a mapping exercise out the market drivers and supply chain for other commodities, from cotton to corn chips to milk. What became apparent is how vast the challenge is in gathering this type of data. There will need to be more transparency and collaboration among growers, buyers and suppliers to manage more sustainable phosphorus outcomes across the supply chain. Among the best ways to prevent excess fertilizer from being lost to runoff into our waterways is to recycle, and the burgeoning Green Economy has seen a number of companies centered on commercializing compost and recycled fertilizer products. These secondary fertilizer-based companies are starting to have a big impact. For the recycling community, industry leaders Noel Lyons, President of McGill Compost, and Amir Vashovi, President of Green Technologies, showed the value of using reclaimed water and composting. “We looked at how we utilize renewable biosolids (organic matter recycled from sewage) in an effort to recycle nutrients,” said Vashovi, who won a Small Business of the Year Award and the founder of his Florida-based, sewage recycling fertilizer company. His main market targets our home lawns and gardens, a $40 billion market where consumers buy 70 million pounds of fertilizer annually. Industrial composting takes the idea of backyard composting to new heights. They take food waste, vegetable waste, and wastewater residuals and use industrial scale processing to make a high-value composting product. McGill, with operations mostly in centered in Ireland and along the East Coast of the U.S., was founded 25 years ago to transform waste by building and operating large-scale composting facilities to market and sell products to rebuild soils for agriculture, landscaping, erosion control or building soccer and football turfs. This is especially important for reviving depleted soils, to reverse the cycle and restore more arable lands to renew food production. Finally, another aspect to change societal management of phosphorus is the power of government to regulate that behavior through new legislation. Ned Beecher, executive director of the Northeast Biosolids and Residuals Association, showed the big picture on biosolid use and federal and state regulations aimed at better managing phosphorus, both for farms, and increasingly in past 10 years, efforts to change homeowners’ behavior with turf and lawn fertilizers. These regulations have served to have a positive effect of increasing the use of biosolids on soils to include the reuse of about 60 percent of all wastewater solids annually in the U.S.
To see how your state is doing to correct and improve P imbalance and the biosolids regulations currently in place, go to (https://www.nebiosolids.org/ or https://www.nebiosolids.org/resources/#/phosphorus-in-biosolids/). In the end, Elser commented that perhaps it’s time to change the narrative of the tension between the wizard and prophet camps. To learn more about the Sustainable Phosphorus Alliance, and subscribe to new updates, join at phosphorusalliance.org. Follow on Twitter @SustainP or join the LinkedIn group Sustainable Phosphorus Alliance.